Often as patients age or possibly experience a dental emergency, dentures are needed to restore their smile and natural appearance. Understanding how to best care for patients’ dental needs in these instances is a top priority for many patients in Beverly Hills and Los Angeles. We offer quality dentures to help patients continue to smile with confidence. There are multiple types of dentures to restore a patient’s radiant smile best. 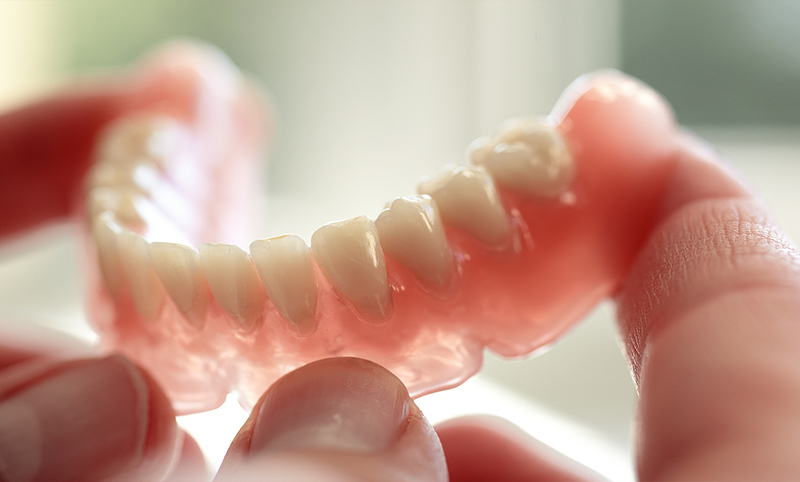 After evaluating a patient’s need for dentures, the dentist will recommend the proper dentures for the patient. Once the dentures are inserted, some patients find it takes a few weeks to get accustomed to the device. Some experience minor irritation or soreness and dentures were feeling loose inside their mouths. These symptoms typically resolve within a few weeks. Follow-up appointments are needed to guarantee proper fitting and to guarantee complications are correctly addressed. The goal of dentures is not only to restore the cosmetic appearance of a patient’s smile but also by filling out their profile and assuring their natural appearance does not change much. Patients often find it is easier to eat and talk with dentures which is something we usually take for granted. Proper care for their dentures will ensure that the patients will continue to have a positive experience for a lifetime. Patients are encouraged to properly care for their dentures the same way they would their natural teeth. Dentures require daily brushing to ensure bacteria is appropriately removed. When not in use, it is best to place dentures in a container with water to prevent them from warping. Patients with full dentures should brush their tongue gums also to help prevent gum disease and other complications. If using an adhesive to keep your dentures in place, be sure to use a product with the ADA seal to guarantee safety and effectiveness. To find out if dentures are right for you, please contact our office to schedule a consultation or ask any questions you may have about the procedure. We look forward to assisting you with restoring your radiant, confident smile and appearance in Beverly Hills and Los Angeles.